Finally, a long-wearing headset that can keep up with the way you game — whatever the platform. The HS50’s adjustable memory foam ear cups feel just as cozy now as they will after hours of wear, keeping you immersed longer than ever. Custom-tuned 50mm neodymium speaker drivers immerse you in epic sound quality, making every moment goosebumps-worthy. Easily accessible on-ear volume and mute controls for adjustments on the fly. 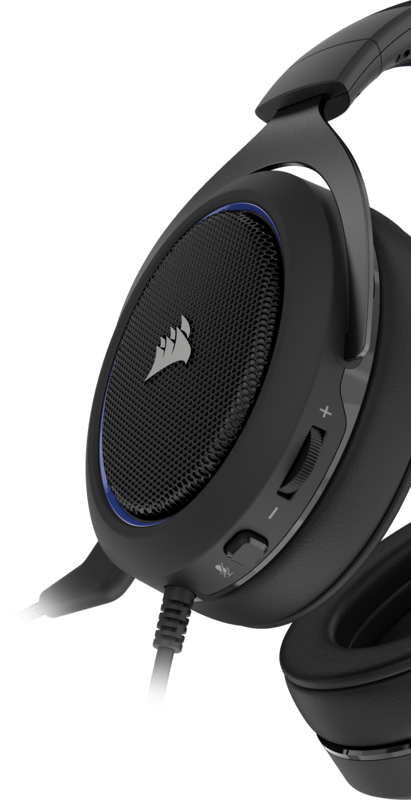 Crystal-clear, noise-cancelling, unidirectional mic — but only when you need it. Whether you want to wear it now or snap it on later, the HS50 has you covered. Play with the confidence that your microphone and audio drivers have been tested and evaluated for crystal-clear communication and outstanding sound. 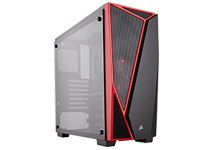 Legendary CORSAIR build quality features rugged yet light metal structural components to ensure long-term durability. This headset is your go-anywhere, multi-platform companion – even if “anywhere” just means a different seat in your living room. 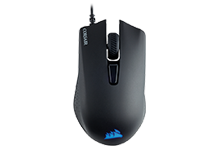 Compatible with: PC, Xbox One*, PlayStation 4, Nintendo Switch and mobile devices. * May require Microsoft adapter sold separately. 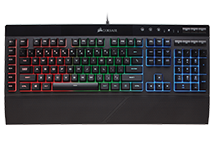 The K55 RGB is your first step towards enhanced performance. 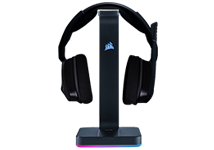 Proudly display your headset with the CORSAIR ST100 RGB Premium Headset Stand.